Keeping costs down while setting up a work space at home is about prioritizing what you need, skipping fancy gadgets and using second-hand when possible. Setting up a home office sounds like an expensive venture. And it isn’t going to be cheap – but that doesn’t mean you can’t design a functional and useful work space in a spare room in your home without breaking the bank. Keeping costs down while setting up a work space at home is about prioritizing what you need, skipping fancy gadgets and using second-hand when possible. It also requires having a clear understanding of what you’re going to use the space for, what must-haves and wants you have for the room, and having an adequate space to set up a home office in in the first place. Even if you don’t have a whole spare room just lying around, there are still cheap and inventive ways to delineate a workspace and separate it from the rest of your living space. You may have to get creative to find methods of bringing the budget down and setting up a space, but it’s always possible. 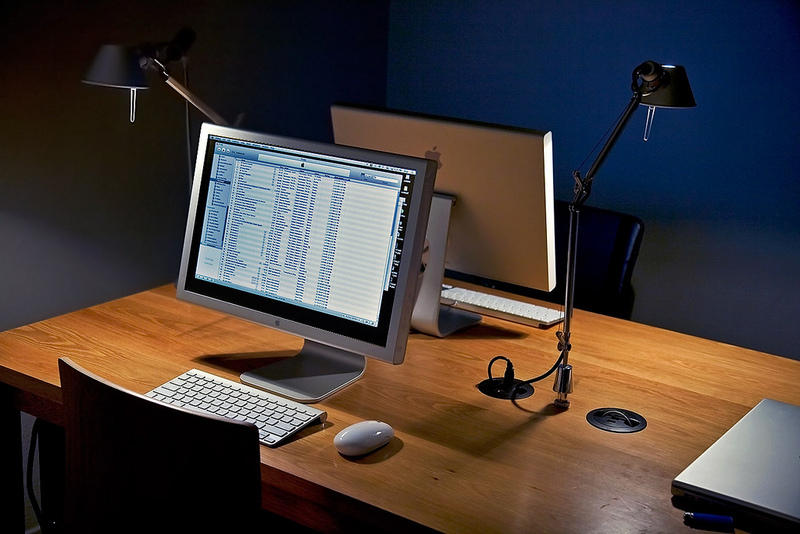 Here are some tips on creating a home office on a budget. When it comes to planning your home office, you should begin with a maximum budget and a goal budget. Your goal budget should be less than your maximum budget, maybe by a few hundred dollars. This is because when you actually go out to put together your home office, you’ll probably find lots of unexpected expenses, things you hadn’t considered or a better option that’s just a little more money for way more value. On the other hand, you do want to dissuade yourself from spending recklessly or blowing through your budget before you get a chance to finish filling out your office space. Setting a goal budget and a maximum budget gives you some wiggle room so that unexpected expenses don’t leave you in the hole. When it comes to office equipment, there are a lot of shiny tools that are fun to have but not necessary to acquire. For example, do you really need a label maker or IP changer for your handful of folders and mug filled with pens? Probably not. Draw up a list of what tasks you actually need to accomplish in your home office. Figure out why you need the space, what tool is necessary to carry out those tasks and what other equipment is necessary to operate that tool. Your checklist is going to need boring supplies like surge protectors, scotch tape, markers and manila file folders. On the other hand, if you have relatively straightforward home office needs, you won’t need the more expensive label makers, moleskine notebooks, or a fancy laser printer/faxer/scanner/copier unless you’re literally operating an entire small business out of your home. Make sure you don’t pick up unnecessary equipment just because it’s shiny and you’re building a home office. Select the supplies necessary for your task, and limit extra purchases. Your home office doesn’t need to be packed with equipment. The other important piece to remember is regular office supply chains aren’t necessarily the best place to get the best price. You may want to look at discount stores, warehouse clubs and other bulk shops where you’re likely to get a bargain on some of this equipment. Although for some technology you’re going to want to stay relatively up to date, the same isn’t necessarily true of the furniture you put into your office space. Feel free to thrift furniture for your office, from a desk chair to a computer desk to filing cabinets, regular chairs and tables, you can save a lot of money by buying someone’s gently used furniture for your office. If you have a desk that’s sitting in your room, unused, why not use that? Look around your house for pieces of furniture that you might be able to relocate. You don’t necessarily have to purchase new equipment to set up your office space – just do a bit of reorganizing instead. Use Facebook Marketplace, Craigslist or other local second-hand stores to find good pieces to fill in any gaps that furniture in your house can’t fill – people are looking to get rid of old office furniture all the time. doesn’t bleed your wallet dry.